We package the entire range of products with industrial-grade wrapping supplies that are environment friendly and safe. Furthermore, the packaging is sturdy to protect against damage and to make sure the product is kept quality assured. We have a large infrastructure facility, parted into different segments and one of them is warehouse wherein we maintain a large stock for meeting bulk requirements of the clients. Gauge Size - 20" diameter x w/14 x 7.5 H (± 1/2"). 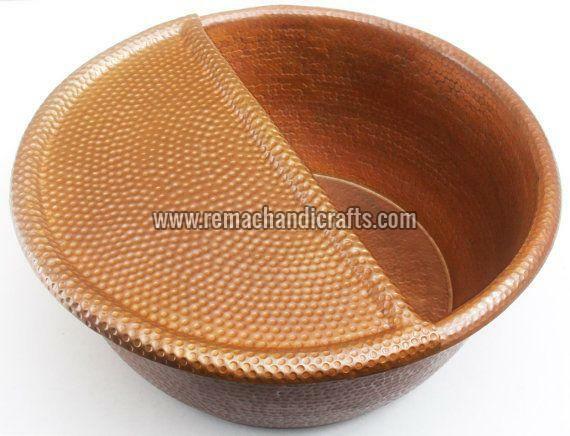 bottom Inside dim - 18x18 Foot rest is contoured to sit on one side of the bowl.